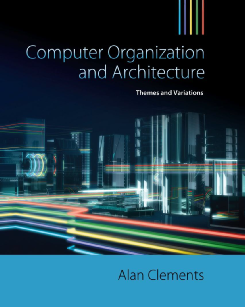 This website provides support for my book, Computer Organization and Architecture: Theme and Variations, published by Cengage Learning. I’ve written these notes to help students use this text and to provide information that could not easily be included in the book. Since first setting up this site, I’ve added a wider range of topics and my ultimate goal is to support the teaching of computer architecture generally. Computer Organization and Architecture: Theme and Variations evolved from my experience of teaching students at the University of Teesside. I have selected the ARM microprocessor as the teaching vehicle to illustrate a modern, and highly successful, processor. You can find a paper I wrote on the use of this processor in computer architecture education here. This website goes beyond the scope of my book and includes topics such as professional issues. I am taking this approach because, like all professors, I realize that most courses cover only a minimal subset of the material that students should cover. There isn’t time to include everything in the conventional curriculum; for example, some topics such as professional ethics and computer history get rather neglected. My book is not perfect. I hope that students and professors will contact me with suggestions for improvements, and I will do my best to accommodate suggestions. You can contact me via the tab on the right. This web has been divided into several sections and includes both background material to accompany the text, and details of processors for students who would like to examine the features of different types of Instruction set architecture. I have also included several simulators that you can employ to test programs on these computers. These simulators have been downloaded from their original sites and are not my work. Topics from the BCS certificate course: this provides an elementary introduction to the processor and operating system. If you’re looking for my photography site, it’s here. The British Computer Society provides a Computer and Network Technology course as part of its Certificate in IT. Follow this link to access notes in both the Operating Systems and basic CPU architecture components of this course.